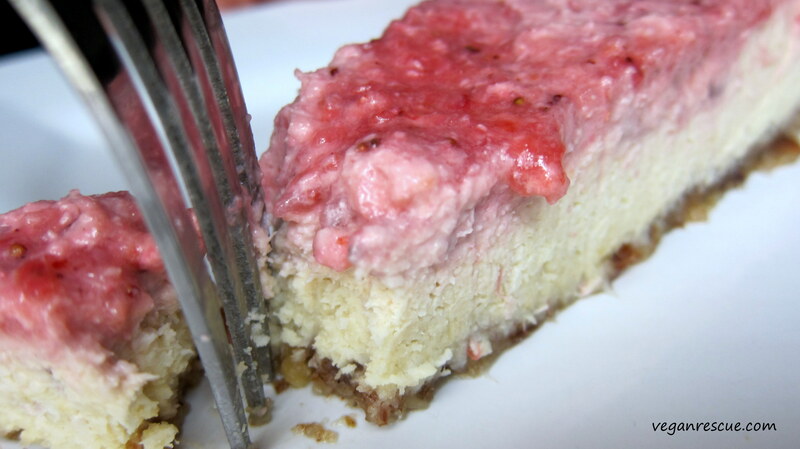 I promised you more cheesecake, here’s another recipe for you to try. Even more amazing than the last – the peaches and strawberries pair very well in this recipe. This recipe is very simple, please be sure to add the pinch of sea salt in the crust layer, trust me it truly makes a difference. Please try this one and enjoy! -In a food processor pulse peaches, coconut meat and cashews until blended. Add remaining ingredients and continue to blend until smooth. (Notes: If you have a high speed blender with a large capacity, just blend all the cheesecake ingredients in the blender until smooth). However, I used the food processor in combination with my nutribullet. I blended the mixture in my nutribullet in batches until smooth, adding additional melted coconut oil to smooth as needed. 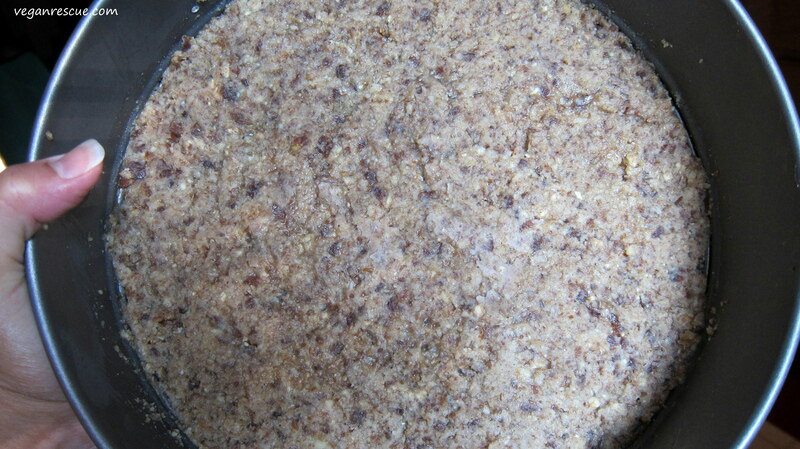 -For the Crust: Pulse together in a food processor until combined. The mixture should stick together. -Press crust in bottom of springform pan. 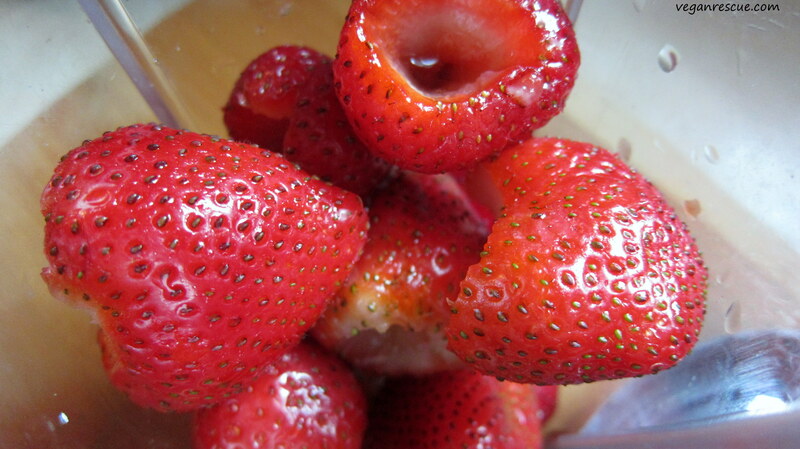 -Blend strawberry & agave mixture together, smooth over the cheesecake mixture. I just used my spatula to work it in the top layer. -Freeze for an hour and enjoy! You can transfer to the refrigerator overnight also. 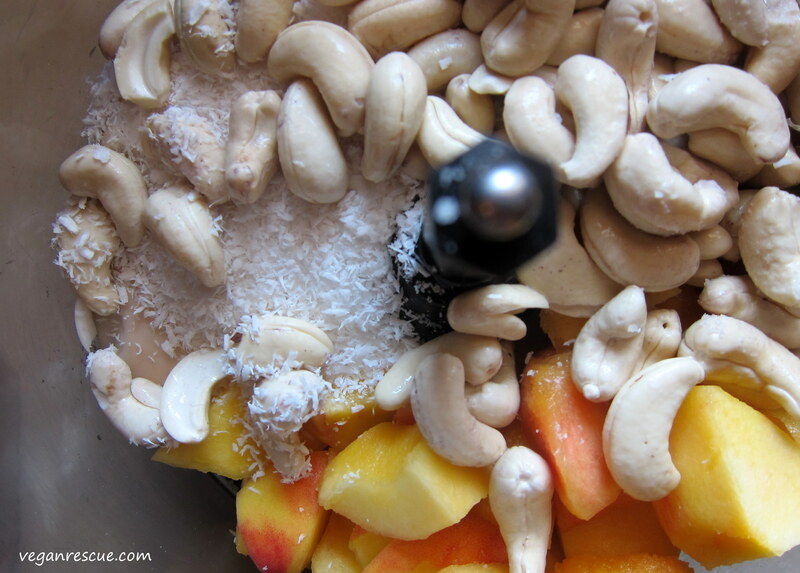 -In a food processor pulse peaches, coconut meat and cashews until blended. Add remaining ingredients and continue to blend until smooth. (Notes: If you have a high speed blender with a large capacity, just blend all the cheesecake ingredients in the blender until smooth). However, I used the food processor in combination with my nutribullet. I blended the mixture in my nutribullet in batches until smooth, adding additional melted coconut oil to smooth as needed. I look forward to your blog too, I’m all about vegan needs 🙂 My husband makes our soaps at home occasionally from scratch so I look forward to reading more of your blog. This looks and sounds so dreamy! 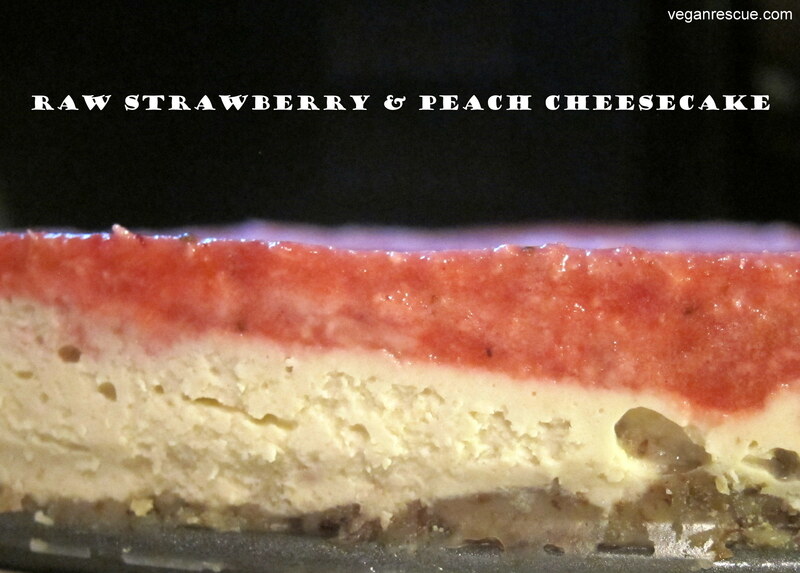 Peaches and strawberries and raw cheesecake? Count me in! Thanks Larice! 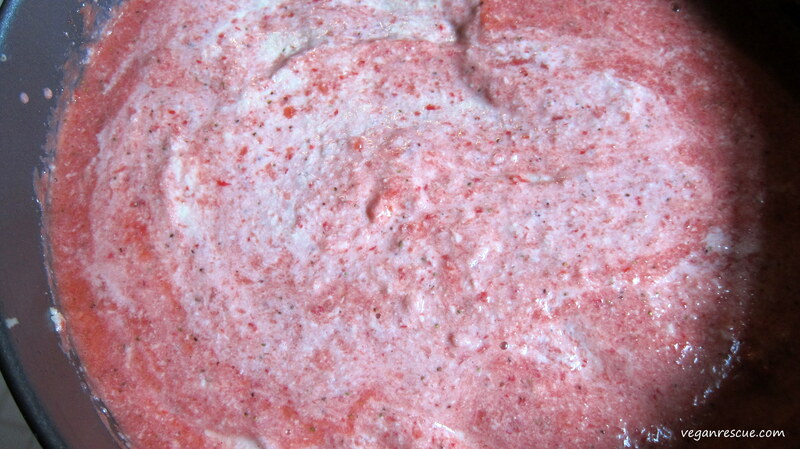 I’m so ready to try your strawberry shortcake nicecream bars, omg! You’re welcome! Let me know if you do! Oh Wow – this one is going to the top of my priority list! Can’t wait for you to try. So this time around I’ve been keeping it in the freezer. Last night I took it out before making dinner, so when it was time for dessert I sliced them up, amazing! There were parts still a little frozen… what a treat. 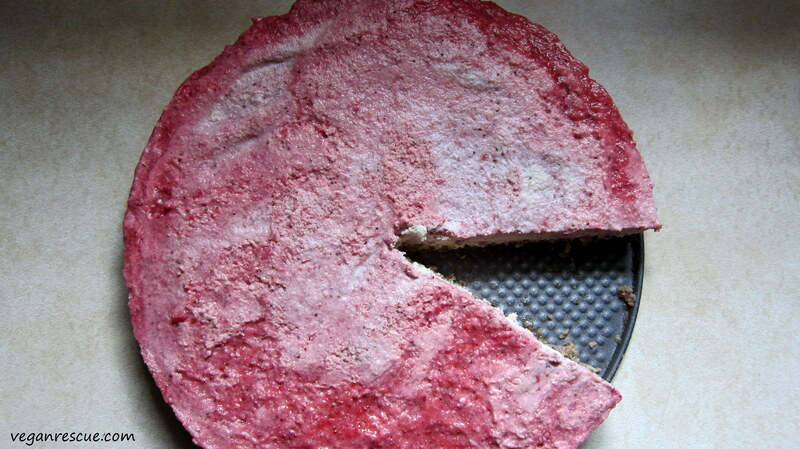 I love raw cheesecake (maybe even more than their baked counterpart)! Your recipe sounds divine, thanks for sharing. WOAH this looks good. SO PRETTY!!! Thank you so much for stopping by and checking it out! Follow Me. Tweet Me. Pin Me. Then Like Me. Welcome to Vegan Rescue! I appreciate you stopping by, my name is Jessica Williams, I currently hail from Pennsylvania outside of Philadelphia. I hope to inspire you through my vegan recipes. I’m an avid home chef and enjoy photography also. Vegan since 2011, I take much pleasure in creating, reinventing (veganizing) and indulging in vegan deliciousness with my husband and children.